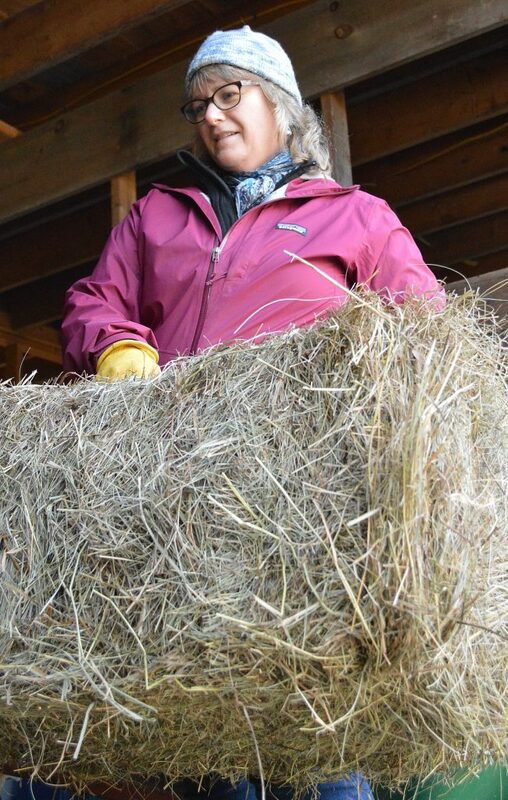 This week, we hear from Best Horse Practices Summit board member, Julie Kenney. 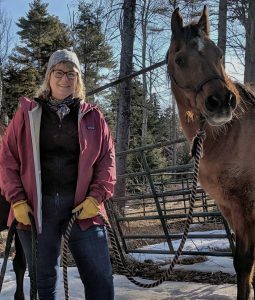 Julie lives and rides on the Maine coast in Harpswell, where she manages Blackberry Farm. Check out our Spring Reviews page. 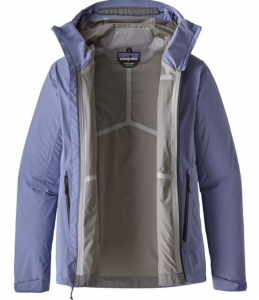 Over the past several weeks, I’ve had a chance to try out the new Rainshadow jacket from Patagonia; its shell fabric is made from 100 percent recycled nylon, including discarded fishing nets. That resonates with me since my husband and son have fished along the Maine coast for decades. Spring weather being what it is around here (blustery and unpredictable), I must admit to not yet wearing it in rain. 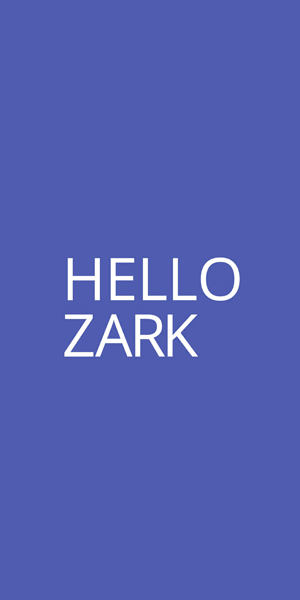 I have been pelted with sleet and snow, however. The Rainshadow jacket has an adjustable drawcord at the back of the hood to allow space for a helmet or pom-pom topped knit hat or bare head, depending upon the need. I was thankful for the stiffness of hood visor to protect my forehead and eyes from the snow. That same reinforcement around the zipped top at the neck also guarded my chin and mouth from the driving sleet. One thing I always look for in any jacket is the available pockets. Especially zippered pockets. 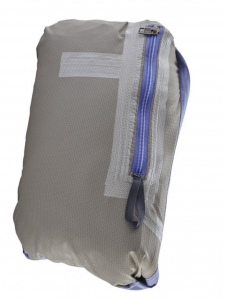 The Rainshadow has three (two hand pockets and left-chest pocket) that are well-placed and generous in size. The chest pocket is so huge you could put a small tablet in there, so I was a little thrown off by this at first. I often carry my cell phone in there, but after some use I have come to like this oversized stash option since my cell phone can now sit horizontally at the bottom of the pocket and not be pressing against my breast. Other stand-out features of this rain jacket is its light weight and slight stretch. By comparison, other raincoats feel heavy and cumbersome. It’s the most comfortable raincoat I’ve ever had the pleasure to wear. I also have been wearing it as a top layer over a thin fleece to block the wind in 30-something degree temperatures. The fabric stretch allows you to move freely. I can do post power walk stretches with ease. Not suitable for rain protection while riding. While it doesn’t protect your thighs when riding in the rain, it’s still quite handy. I really like this jacket. And if you’re looking for companies that upcycle, the shell-from-fishnet material is a compelling reason to invest in it. Posted in Uncategorized and tagged Julie Kenney, patagonia, rain shadow jacket. ← Katrin Silva: Why Show?